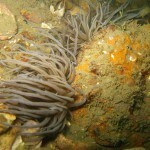 Cuckmere Haven, Sussex, Seven Sisters Country Park. 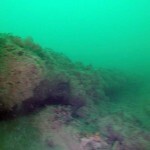 South-east of Bognor Regis is an area with outcrops of sandstone bedrock form low reefs with a surrounding seabed of sandstone boulders, cobbles, pebbles, gravel and sand. 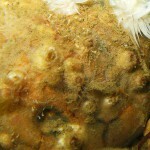 The exposed step-like sandstone is extensively fissured with many crevices, holes and overhangs. 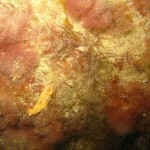 The boulders can be large and are known as sarcens. 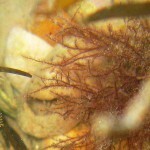 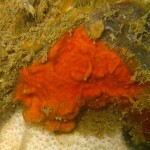 Extensive foliose algae are present including reds and small Laminaria. 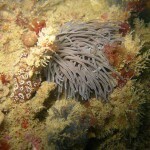 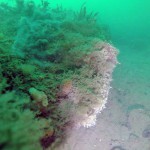 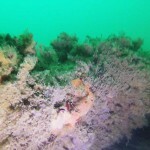 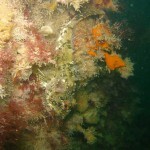 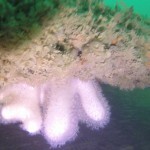 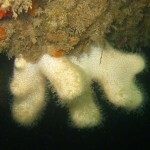 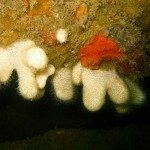 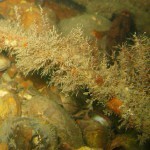 The animal turf exploits the extensive niches present and includes 24 recorded species of sponge, bryozoans, hydroids and tube worms. 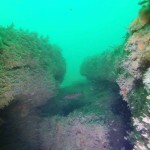 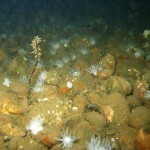 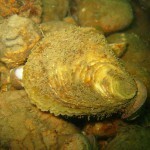 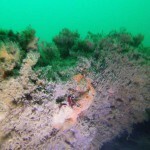 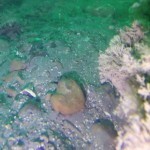 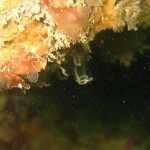 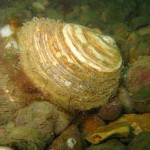 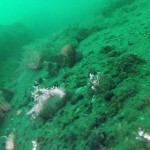 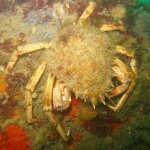 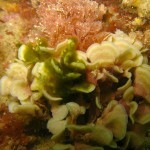 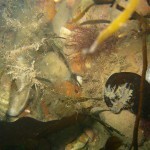 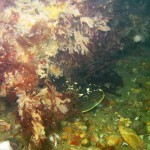 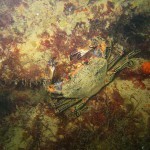 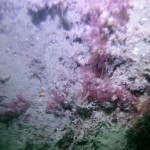 The surrounding mixed ground is home to burrowing anemones, ascidians, slipper limpets etc. 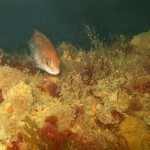 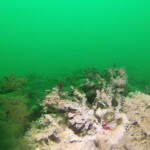 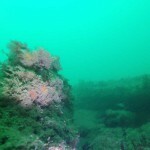 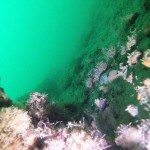 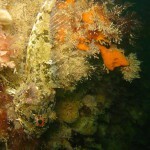 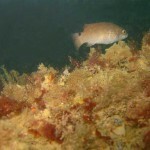 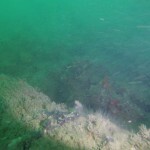 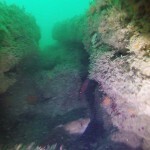 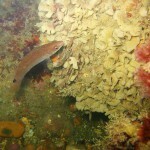 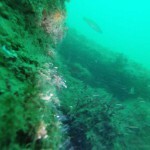 Corkwing Wrasse, Ballan Wrasse, Goldsinney, Pollack, Tompot Blenny and Cat Shark occur. 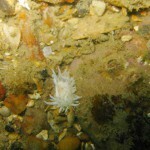 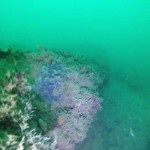 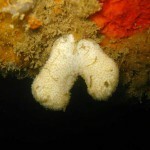 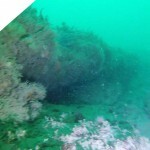 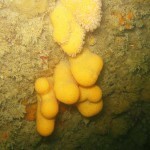 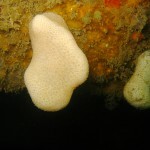 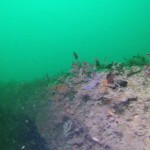 Details can be found in the Sussex Sublittoral Survey Report 1984 an important report that formed the foundation of many Marine Sites of Nature Conservation Importance (MSNCIs) and subsequently Marine Conservation Zones in Sussex. 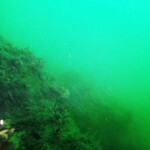 Many of the images in the following gallery are stills from a GoPro video.